eco-friendly lamb that is born & raised on a 100% pasture diet. In 2018 Woolleys’ Lamb brought in genetics from Nikau Coopworth in New Zealand, check out this video about Nikau Coopworth and the owner Kate Broadbent. A 6th generation farmer in Norfolk County. 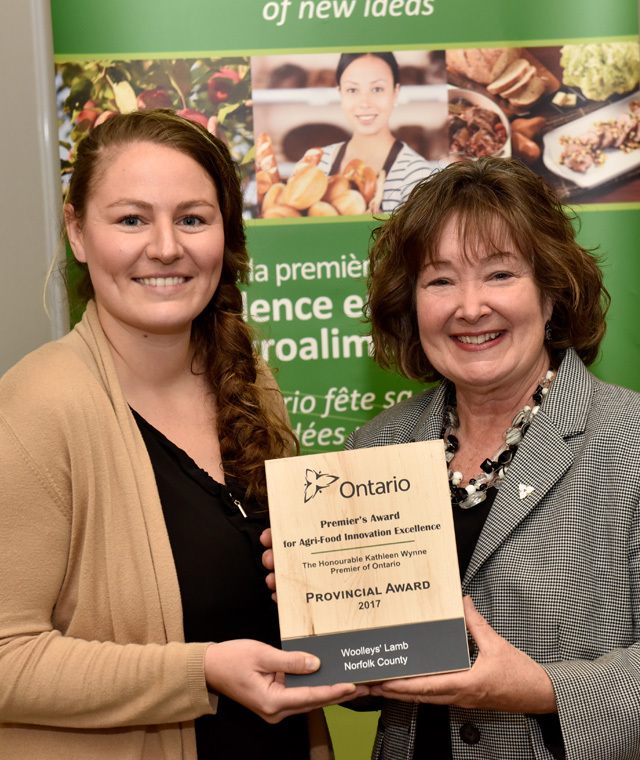 After completing her studies in Animal Sciences, at the University of Guelph, Carrie returned to Norfolk County, where she married a handsome young man with a similar passion for farming. 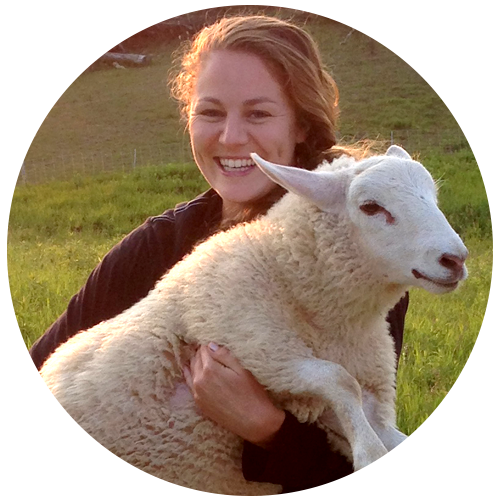 Together, they embraced their decision to raise Lamb in a natural, sustainable way. If you spot sheep wandering between the cherry trees at Woolleys’ Lamb farm, don’t worry – they’re exactly where their supposed to be. For owners Carrie Woolley and Brett Schuyler, letting their grass-fed livestock graze freely amongst their fruit trees makes perfect sense. The innovative process provides shade, shelter and space for the sheep to forage. In return, the grazing animals help improve soil health and save the operation more than $30,000 per year in grass-cutting costs. The eco-friendly approach demonstrates how farmers can create additional uses for their land, add a lucrative revenue stream and help meet Ontario’s demand for local, grass-fed lamb. These locations are where you can purchase Woolleys’ Lamb products to take home a create some incredibly delicious dishes and even barbecue.